This might not seem like much of an achievement to most of you but I am hopeless at pressing seams. However, when I was in the States Sylvia showed me how to use a pressing ham. I found it so much easier so I bought one at JoAnn’s and carted it all the way home. 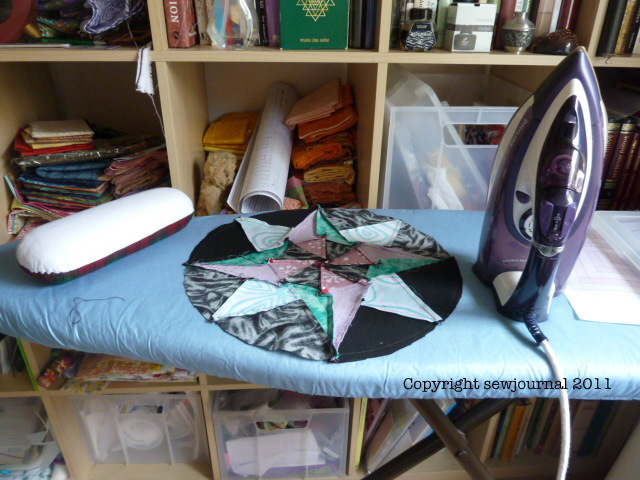 I used it for the first time today on my sample Camelot block which I was dreading pressing. The thought of all those bunched up seam allowances in the centre was the stuff of nightmares for me. I completely understand! I have never heard of anything that makes pressing easier. 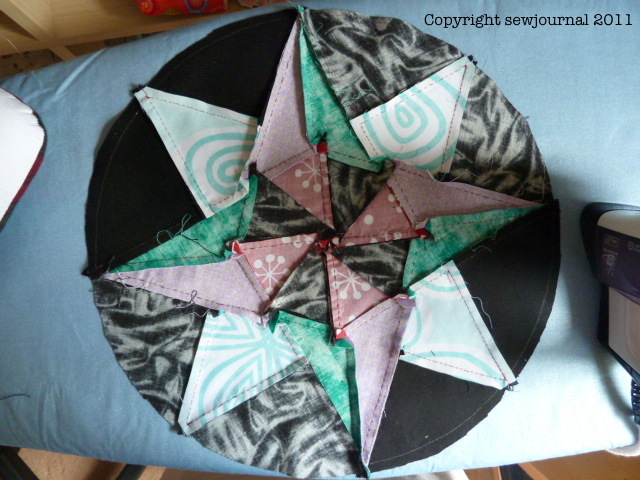 I know that when you piece by machine you iron all the seams one way but in hand piecing I wait until the block is finished. Sometimes when I join blocks I find a different direction would have been better…and sometimes when quilting I find the ditch has changed sides back to the first plan. See the white thing on the end of the ironing board that’s the pressing ham.